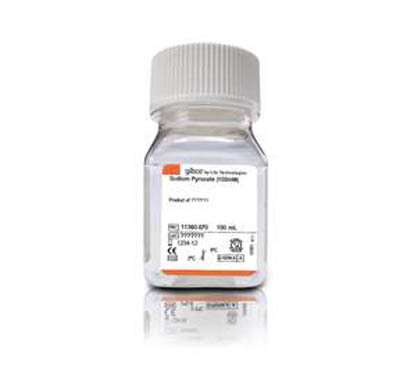 Sodium pyruvate is commonly added to cell culture media as a carbon source in addition to glucose. Since cells make sodium pyruvate as an intermediate metabolite in the glycolysis pathway, it is not a required supplement for all cell cultures. However, if cells have been grown in medium that is supplemented with sodium pyruvate, consider continuing use of the supplement as cell growth may lag without it.